Dinner and a show (where dinner is set to steal the limelight). 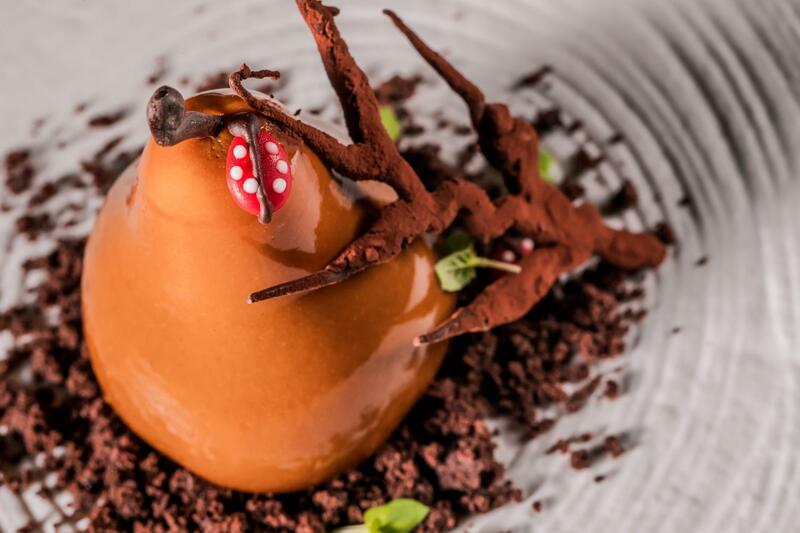 Being blessed with QPAC is one of the many reasons to adore Brisbane, and having a world-class restaurant right across the road for pre-theatre wining and dining provides us with a complete night-out package! 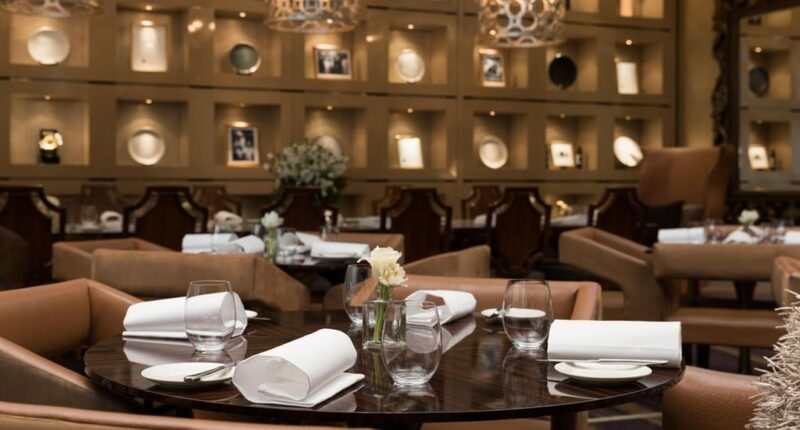 Whether your heart is set on seeing a Broadway musical or being blown away by the ballet, your stomach will undoubtedly be set on one thing – being treated to a dinner deserving of its own moment in the spotlight [Bacchus Restaurant enters stage right]. 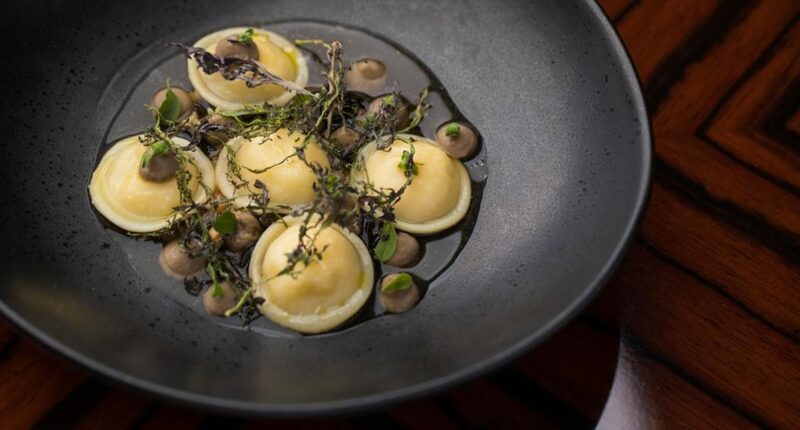 The luxuriously lush Bacchus restaurant at Rydges South Bank now offers a pre-theatre menu available Tuesday-Saturday, with 5:30pm and 5:45pm sittings guaranteed to have you on your way to your show on time! Your choice of two courses for $59pp or three for $75pp will see a performance of colour and creativity brought to the table, providing a welcome play on the palate. 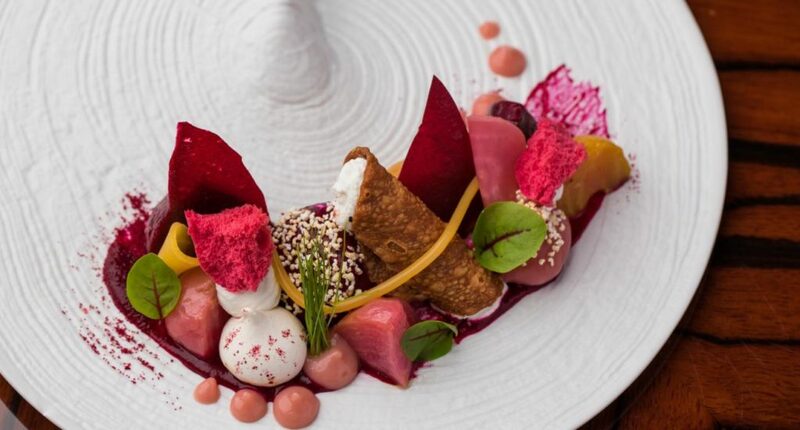 Entrées will set the scene with vibrant beetroot, goats curd and crispy amaranth, sashimi with blue tea dashi, yoghurt sphere and lime, and duck ravioli with carrot and consommé. The second act features applause-worthy mushroom bottoni with smoked buffalo mozzarella, kingfish with grilled corn, sour cream quinoa and lime, and lamb backstrap with Savoy cabbage, black garlic, leek and pickled mushrooms. Bacchus’ pre-theatre dessert menu is sure to bring a standing ovation; pick your pleasure from lexur limoncello with jam, lemon candy and meringue, seasonal pear with honey and mascarpone, or hit a savoury note with the chef’s private cheese selection. Who knew you’d be seeing two shows in one night? Booking for Bacchus’s pre-theatre dining is available online or on 3364 0870 (be sure to specify that you’re after pre-theatre dining!). Hot tip: this would also make for a fancy pre-art gallery or cinema treat!